The benefits expected from having a Scrum Master on a team are manifold. Part of it is providing a team with ongoing access to someone who has used agile, and scrum in particular and can help the team figure out the best way to apply it in their situation. Another part to these expected benefits would be to have someone that can address distractions, disruptions, and obstacles so that the remainder of the team is free to focus on the work of producing output that will be in accordance to the highest standards. Based on a survey by Scrum Alliance, nearly 94% of the respondents leverage Scrum methodology, and almost 91% of organisations are offering training or coaching to employees to become certified Scrum Masters. The CSM certification in Gurgaon provides a holistic view regarding the nuances of the Scrum methodology and imparts effective coaching to aid them in their journey to become a Certified Scrum Master. According to the interim CEO of Scrum Alliance, top-down, waterfall management has reached the end of its time. The world of work is forever in a state of flux, with new demands from both employees and consumers. The real power of Scrum according to her is that they offer business outcomes that directly improve the bottom line financially, and also boost work culture, customer satisfaction, client loyalty, and product delivery along the way. Professional credibility- The Scrum Master training in Gurgaon will enable you to use Scrum in non-IT projects as well which improves your credibility across operations and production. Personal satisfaction- Walk a different and unique path with the CSM Certification in Gurgaon as it imparts skill-sets for you to expand into other wings of the organisation. Salary- Certified Scrum Masters can expect to make much more than their non-certified counterparts. Job search- The certification offers you an achievement to be proud of and makes you more employable as the companies need not spend on training you further. Professional growth- Skilling up is always good in a work atmosphere which is changing at a rapid pace and helps in making you indispensable in various functionalities of the company. Job essentials- The CSM certification in Gurgaon will help organisations stay ahead of the rest with competent subject matter experts in cross-functional teams. Filling skills gaps- With the CSM training in Gurgaon, you will be able to bridge skill gaps across teams and optimise the organisation’s workflow to better suit the client’s needs. Increased engagement - No achievement is met without leveraging the power of communication within an organisation. The Certified Scrum Master certification training in Gurgaon will enable you to showcase your capabilities as a cross-platform expert. Continuous improvement - A CSM training program will help you implement the core Agile principles and Scrum values, thereby ensuring continuous improvement and faster time-to-market. A Certified ScrumMaster® is a professional designated by Scrum Alliance as a Scrum practitioner who can skillfully lead project teams. A Scrum Master is not a project leader or project manager but instead, a Servant Leader who assists the team to succeed with the Scrum framework. Systems Thinking: This skill helps the Scrum Master to build a comprehensive perspective towards the whole organization as a system. Facilitation ability: The Scrum Master facilitates the Scrum events for the team members to reach a high-end decision. Complex Problem Solving: The Scrum Master will be able to handle various complex situations while undertaking product development. Coaching: Team members need someone to guide and coach them to follow Scrum principles properly, which the Scrum Master does. How does ScrumMaster certification come into play? The exponential growth of Scrum, combined with the rising Scrum adoption in 65% of IT enterprises globally indicates the need for Certified ScrumMasters who can facilitate complex project execution. A CSM certification from any Global REP (Registered Education Provider) helps reinforce your industry identity as an Agilist who can lead projects to successful execution. Scrum Alliance, the renowned Agile membership and certification organization for the professionals offers various levels of certification to become proficient in Scrum. The certifying body always believes in a high level of personal interaction to understand Scrum. The newly designed course model of Scrum Alliance fosters collaboration, increased productivity, and success among the team members. Membership of the Scrum Alliance community offers you a networking platform if you are interested in your Agile journey and lets you connect with other Scrum practitioners. It aids you to get future growth through certification, knowledge sharing, and community support, which is very rare in the IT domain. 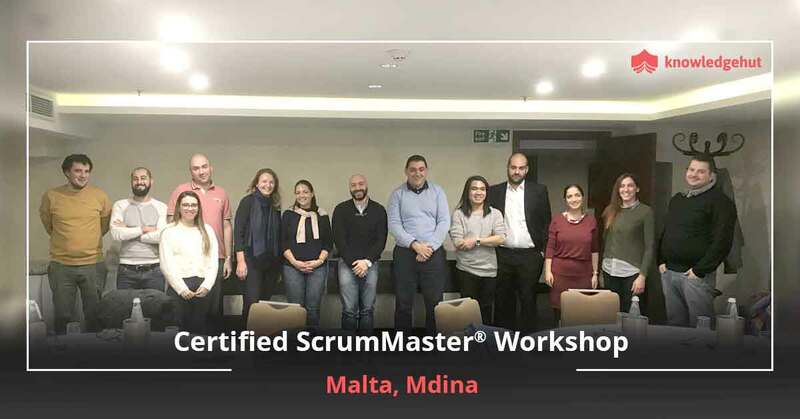 A Certified ScrumMaster® (CSM) training workshop is conducted by a Certified Scrum Trainer (CST) and teaches the Scrum terminology, practices, and principles that will enable the participant to act as a Scrum Master or Scrum team member. This credential is a first step on the path to a successful Agile career. No, there is no online/virtual course for CSM. Scrum Alliance believes that understanding Scrum requires a greater level of personal interaction than cannot be delivered in a virtual environment. How does the CSM course help an individual/professional? Will new job placement opportunities available to me after ScrumMaster training? 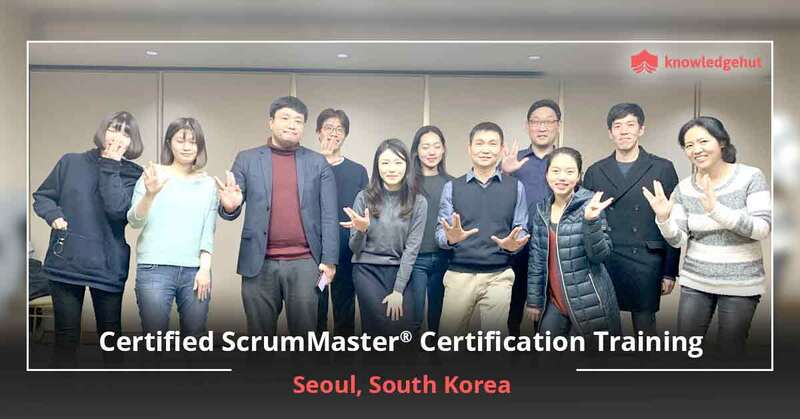 The demand for professional and skilled scrum masters is rising and this consequently has elevated the job opportunities that are available in the market for Scrum certified professionals. Our training will give you the edge you need over your non-certified counterparts and help you to get a high-paying job that will pave the way for a successful Agile journey. What next after working as a Certified ScrumMaster for 1 year? The Certified ScrumMaster® course offers training in the fundamentals essential for Scrum team members or a professional Scrum Master. What are the prerequisites to attend the CSM certification training? What education background should I have in order to become a Scrum Master? One need not bother with a specific background to become a Scrum Master. Individuals with Scrum Master skills can emerge out of any field. Who should take this Scrum Alliance CSM training course? Who are the instructors/trainers for your CSM certification training? Our dedicated team of CSTs deliver training on par with the standard of excellence as set out by Scrum Alliance. So, every candidate receives the same high-quality content irrespective of the trainer and the location. They help you further develop the competencies and skills you need to make a difference in your organization. Do I need membership of Scrum Alliance to attend training for this certification? Is your 2 days of training enough to clear the Scrum Master certification exam? It is advisable that before attending the Certified Scrum Master course, you should familiarize yourself with the resources available on the Scrum Alliance website. These Scrum resources will help you embrace the Scrum principles and practices and will lead to greater success in the CSM exam. Are the Certified ScrumMaster training materials effective in preparing for the CSM exam? Our experienced and highly qualified trainers deliver a practical and interactive training programme with accurate, clear, and updated materials to help you understand the concepts clearly and pass your CSM exam without much difficulty. The Certified ScrumMaster certification exam is an online test comprising of 50 multiple choice questions. Candidates will have 1-hour (60 minutes) to finish it. A candidate has to score 74% in the exam to pass the Scrum Master certification exam and obtain the certification. Once you complete the course, you are allowed to take the exam. This exam pattern was decided by subject matter experts (SMEs) from the Scrum Alliance community working in partnership with Scrum Alliance and Prometric, an industry leader in test development. How much does the Certified Scrum Master certification exam cost? Yes. The Scrum Alliance allows you to take the Scrum Master exam at no cost for the first 2 attempts within 90 days after you receive your welcome email. You will be charged a minimum of $25 each from the third attempt or after completing your 90 days. Scrum Alliance suggests to retake the CSM course if you have failed thrice in the exam. What is the "CSM accreditation body"? What is its exam fee refund policy? Is it possible for me to take a sample test to get a feeling of what the real test would be like? No. There is no mock test; however, we have published a test blueprint at the bottom of the CSM page under ‘Resources.’ This blueprint outlines the percentage of questions from each domain that will be on the 50-question test. The new test still follows the current Learning Objectives as well as the recently published Learning Objectives. The individuals can take the online test from a computer anywhere in the world, according to their comfort (home, work, or other location). The test will not be proctored. No, you will have a time limit of 60 minutes and will not be able to pause the test. If you accidentally close the window, then you’ll be able to reopen it immediately. If you lose internet connection or lose access to the test for an extended period of time, then you may reach out to support@scrumalliance.org to have a new test set up. Upon finishing the test, you can click on the ‘submit’ button and results will appear immediately on the screen. Why has the CSM test been updated? If I have undertaken the CSM certification course in November or December 2018, will I receive the ‘old’ test or ‘new’ test? 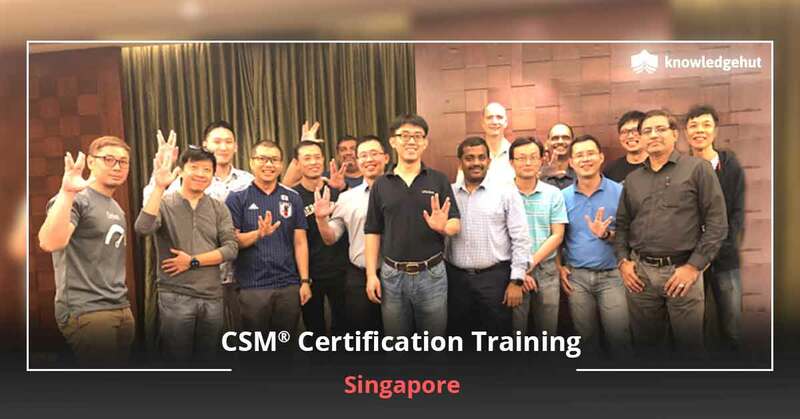 Who offers the CSM certification? You will receive the certification from Scrum Alliance, the CSM accreditation body designating you as a Certified ScrumMaster®. This enhances your industry credibility since a certification from Scrum Alliance is deemed to fulfill the vision of the Agile Manifesto by boosting greater productivity, success, and collaboration among team members. How long does it take to get a CSM certification? You will have to attend two days of CSM® training under a Certified Scrum Trainer (CST®). You need to take an exam to demonstrate your knowledge of Scrum and get certified. The exam comprises 50 multiple choice questions (MCQs) out of which you need to answer 37 questions correctly within an hour. This means that you need to score 74% in order to pass the exam. Once you pass the exam, you are declared as CSM® certified and you can download the certificate instantly. What is the average salary of a Certified ScrumMaster® Professional? Scrum Master is a role and not a job title. The average salary of a Certified ScrumMaster® is $100K per year which is really high when compared with other IT certifications. What is the process to become a Certified ScrumMaster? Step 1: Choose a CSM® training provider authorized by Scrum Alliance. Step 2: Enrol for a two-day CSM® course and get trained by Certified Scrum Trainers® (CSTs). Step 3: After successful completion of the course, our Certified Scrum Trainer (CST®) will send your details to the Scrum Alliance. Scrum Alliance will send you an email that contains the Scrum Alliance account and access details for your CSM® exam. Step 4: Click on the link received from the Scrum Alliance and create your own login credentials. Step 5: Log in to take the online CSM® test. The exam consists of 50 MCQs and a time limit of 60 minutes (1 hour). Step 6: You need to answer 37 questions correctly and score 74% to pass the CSM® test. Note: The CSM® exam is easy to crack if you prepare from the Scrum Guide, Scrum Primer, and take the CSM® mock tests. Step 7: Once you pass the test with the minimum passing score, accept the license agreement. Step 8: After accepting it, you will receive Certified ScrumMaster® (CSM®) certification and a 2-year membership from Scrum Alliance. Step 9: You can maintain your CSM® certification by renewing it once in two years. Why and how should I renew my certification? The Scrum framework is evolving and growing as a result of the engagement and contributions of those who share their ideas and practical experiences in the workplace. Renewal of your certification validates your interest in the growth and evolution of Scrum. CSM certification renewal needs to be done every 2 years. You need to pay $100 to extend the credential for a further period of 2 years from the date of your current expiration. In order to renew your ScrumMaster certification, login to Scrum Alliance website, go to your dashboard and choose the ‘Renew Certification’ option available under the heading ‘Actions’. 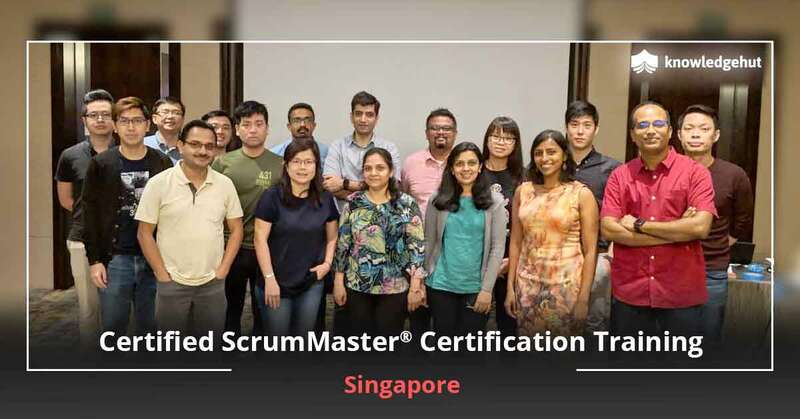 From February 4, 2019 onwards, CSMs are required to earn 20 Scrum Educational Units (SEUs) within the past two years, in addition to the $100 renewal fee that has to be paid. This new requirement has been mandated to validate your participation and continued proficiency in the fundamental principles and practices of Scrum. You can earn the required SEUs by completing an educational training or a learning opportunity. PDUs and SEUs are Professional Development Units and Scrum Educational Units, issued by the Project Management Institute and Scrum Alliance, respectively. They can be earned by completing educational training or learning opportunities, which serve to validate your participation and continued proficiency in the principles and practices of Scrum. To maintain your certification from Scrum Alliance, you are required to earn a certain number of SEUs every two years. Given its rising popularity across industries, especially IT, Gurgaon is an ideal choice for aspiring professionals to seek job opportunities in this region. Gurgaon is a major outsourcing centre in India and professionals who have undergone CSM training in Gurgaon and hold the CSM certification in Gurgaon can have very successful careers. Our Certified Scrum Master training in Gurgaon gives you the best in terms of CSM certification cost in Gurgaon which is among the most competitive of the Certified Scrum Master courses in Gurgaon and offers best in terms of coaching, takeaways, courseware and exercises. This extensive Certified Scrum Master certification in Gurgaon teaches you the Agile manifesto, Scrum roles and responsibilities, Scrum meetings, and Scrum artifacts. Through case studies and practical lessons this CSM course in Gurgaon will teach you all about scaling Scrum. The course fee also includes the Certified Scrum Master certification cost in Gurgaon. 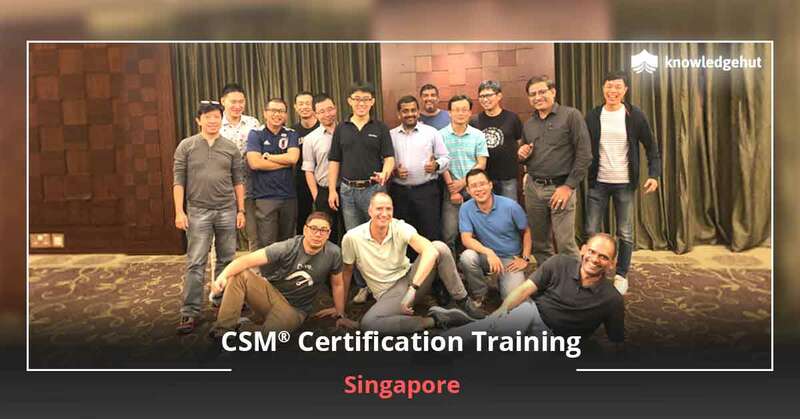 Enrolling in our CSM certification training in Gurgaon will help you prepare for the globally accepted certification and gain the practical expertise to carry out activities, and artifacts to get a project off on the right foot. 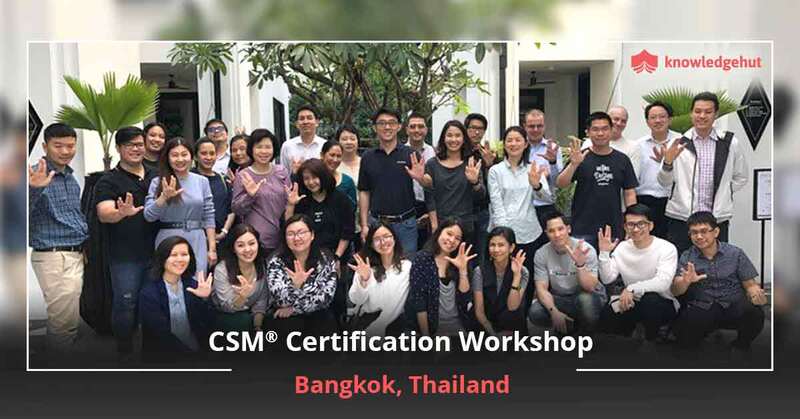 On getting CSM certified you will become part of an elite group of CSMs around the world, get access to local user groups, online social networks, additional resources that are only available to Scrum Alliance members and a profile page on the Scrum Alliance website and access to a specially designed logo to highlight your credentials.